Here’s a good reason for all of us to raise a glass and toast - online sales posted a 15.4% year-over-year increase in 2010, with six days during the holidays registering more than $1 billion in online sales. That’s up from three days in 2009. According to the Los Angeles Times, shoppers continued to storm online the day after Christmas, with sales up nearly 11% over Dec. 26 last year. It’s second-nature to buy online now. 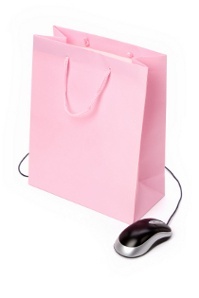 Analysts’ observation is that shoppers are becoming much more comfortable purchasing on the internet. The general population’s willingness to make online transactions is drawing more of a parallel with internet integration in our daily lives. Retailers did a tremendous job of enticing consumers to shop online this year with special promotions, guaranteed delivery dates, free or deeply discounted shipping, and up-to-date inventory. Good news for online retailers and commodity services. Not only have U.S. consumers loosened their purse strings; they’re shopping the easy way - from home or at the office - and it makes sense. Would you rather type in a few keywords, or hoof it into the store and wait in lines? Even purchasing auto insurance is easier online. Ever had to sit in an office and wait your turn while reading about Class C driver’s licenses? The reach of the internet is beneficial to any business with an online presence. It’s an opportunistic time for start-up companies and small businesses. Companies that traditionally operate in bricks-and-mortar can spread their wings. And retailers can test unique marketing strategies online. Tracking site traffic, web channels, and conversions will be vital this year for analyzing marketing effectiveness. Then, based on your data, you can make necessary tweaks. Mobile shopping on the rise. Consumers are increasingly using mobile technology as a shopping tool. Throughout December 2010, 5.6% of all site visits were initiated from a mobile device. This was a 19% increase over November 2010. Additionally, 5.5% of all online retail sales came from mobile devices - a 7% increase over November 2010. For more statistics, as well as why Department Stores and Health and Beauty Retailers are Big Winners, check out "IBM Analytics Track Aggressive Promotions, Mobile Shopping as Key Drivers."